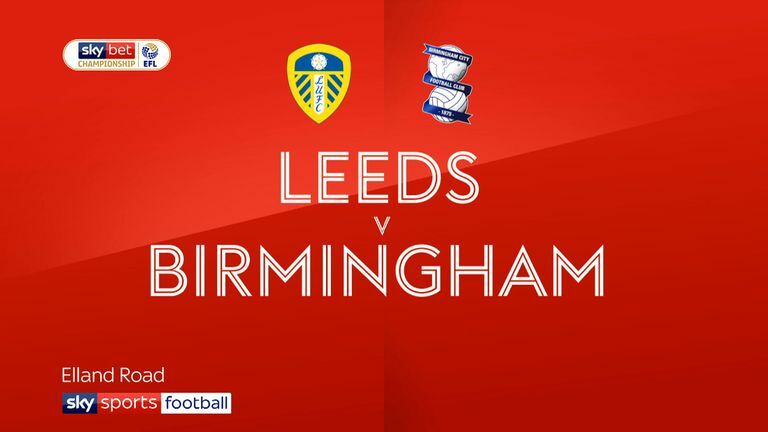 Leeds lose first game of the season in Sky Bet Championship while Birmingham earn first victory. Leeds' unbeaten start to the Championship season came to a sudden halt as former United boss Garry Monk inspired struggling Birmingham to a 2-1 victory at Elland Road. The 39-year-old, who spent the 2016/17 season in charge of the Whites, had endured a miserable return to his old club last term, suffering a 2-1 defeat as Middlesbrough manager. But things improved for Monk second time around as Che Adams' brace secured Blues their first win of the campaign at the ninth attempt. Gjanni Alioski pulled a goal back for leaders Leeds late on, but, despite a frantic finish, the visitors held on. The loss for United was head coach Marcelo Bielsa's first in the league and came as a surprise to the sell-out crowd given the way that Preston were cast aside 3-0 in midweek. Monk's game plan worked perfectly from the off and, despite only scoring two goals away from home this campaign, they doubled that tally in the opening half hour. Adams was offered time and space outside the area and his curling effort somehow wrong footed Bailey Peacock-Farrell, comfortably beating the static goalkeeper in the eighth minute. Peacock-Farrell could then do nothing to stop Adams' second as the former Sheffield United forward's low shot trickled along the ground and in off a post. 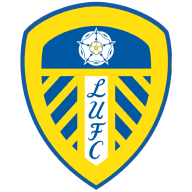 Leeds finally started to stir and a ruthless Bielsa attempted to shake things up in the 34th minute, hauling below-par midfielder Kalvin Phillips off for Stuart Dallas. Yet the warning signs were still there for the Whites as Jota's cross was deflected over the top by Liam Cooper and, from the resulting corner, Jacques Maghoma's fizzed drive was cleared close to the line. Alioski wasted the hosts' best chance of the opening half, firing over with his weaker right foot from a decent position in the area. Leeds still appeared capable of carving the visitors open, with Tyler Roberts having a shot blocked and substitute Adam Forshaw volleying straight at Lee Camp after the interval. One of Bielsa's coaching staff was then shown a yellow card for complaining about Birmingham's continuous attempts to slow the game down. And Leeds' frustrations continued as their usual slick passing in the final third let them down on several occasions. The visitors were keen to sit on their lead and Leeds had to search hard for a breakthrough, the impressive Dallas having a shot deflected wide following substitute Ryan Edmondson's knockdown. But Leeds finally got their breakthrough with five minutes remaining as Alioski controlled a long pass and drilled a low shot past Camp. 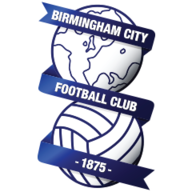 The Macedonian winger and Dallas were then both denied by Camp, the latter courtesy of a brilliant diving stop, as Birmingham held on. Marcelo Bielsa: "The proposal I chose for this game at the beginning was not the right one. Phillips played in front of (Pontus) Jansson and (Liam) Cooper to link defence to attack and we could not reach that goal. In the first 30 minutes we were not fluid with the ball and we didn't feel safe because we didn't recover the ball well. "We couldn't make the link between defence and attack because Phillips could not receive the ball. Phillips had to assume the consequences for the mistake I made. When I corrected the mistake, the rival had already scored two goals. Our team was less confident. It's a high price to play for a tactical mistake." Garry Monk: "I am very proud of the players, they deserve that. We have performed well all season and outplayed a lot of good teams. We were very unfortunate. "Of course when you have a winless run, talk comes. To come here against the league leaders, at a stadium with a fantastic atmosphere, I thought the players were magnificent. I am pleased for them and the fans. I thought we got what we deserved."